… and here at iPhotography™ HQ, we are getting ‘fairy’ excited! Fir trees have been decorated at Christmas time for hundreds of years and nowadays they can be spotted all around towns, shopping malls, local parks and in neighbourhood windows. Putting up the tree is a great family activity, from unraveling tangled wires thrown away last January, to the inevitable debate over whose turn it is to place the star at the top! Transforming your house into a temporary ‘Winter Wonderland’ is an event to be cherished by the whole family each and every time. It’s also another rare opportunity not to be missed with our camera. After all, Christmas comes but once a year. 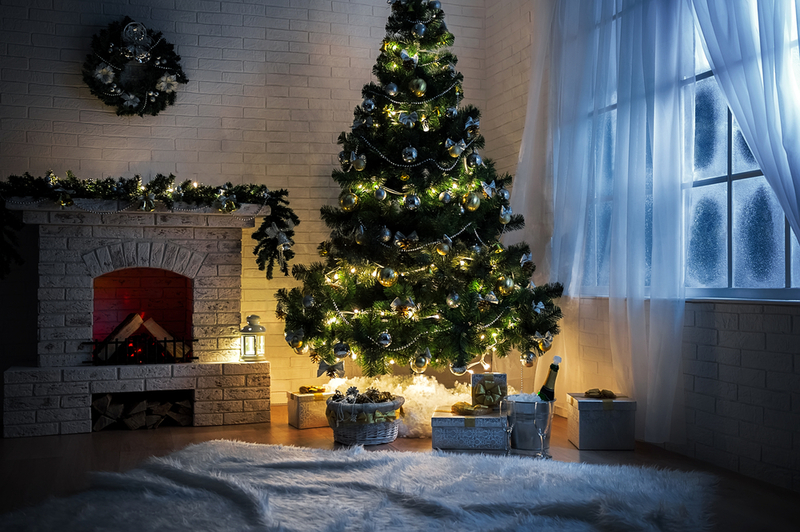 Christmas trees are an enchanted addition to your family living room when dressed with their glowing fairy lights, twinkling tinsel, and jingling bells. There’s nothing worse than photographing such a sensation with your pop-up flash! We are going to help you throw away all the bad habits when photographing these magical moments and instead, create memories with a real WOW factor! To capture the perfect Christmas tree, you will need a tripod. 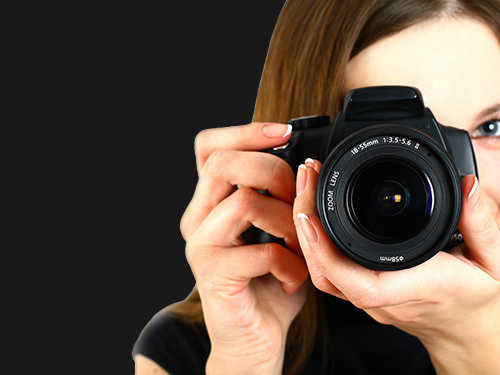 If you don’t have one you could try using a steady surface, such as a table or arm of a chair, to rest your camera on. Using a tripod with a slow shutter speed will help you achieve sharper shots in low light conditions, allowing the camera to pick up the sparkle and shine of the fairy lights. If it’s not too late, perhaps you could add it to your Christmas list. Firstly, with your camera set up, choose a low ISO in order to keep noise or grain to a minimum, let’s say 100 or 200. When shooting with a slow shutter speed. ISO becomes almost irrelevant because the shutter is open long enough to absorb the right amount of light. Secondly, depending on the positioning of your tree, you may want to blur out the background. With using a tripod and a slow shutter speed, this will give you the option to use a wide aperture such as f4. Make sure any distractions in the background are hidden……now get shooting! If you wanted to do a close-up of a particular ornament, you could try using an even wider aperture, say f1.8 for example. Use your camera’s macro function to get the best setting or ideally, a macro lens. Meanwhile, if you wanted to add some unique qualities to your Christmas lights, you could try closing your aperture down to f16 or smaller. Yes, the background will be in focus, but you will also start to notice small starbursts around the individual twinkles of the fairy lights. It’ll add some really festive specular highlights to your tree, drawing people’s attention to your Christmas centerpiece! Another sparkling suggestion on how to make your fairy light shots more unusual is to use manual focus. Most photographers are terrified of manual focus as they are worried that their pictures will come out blurry. …switch your lens to manual focus, there is usually a slider on the lens itself, and twist the focus ring until the view becomes blurry. 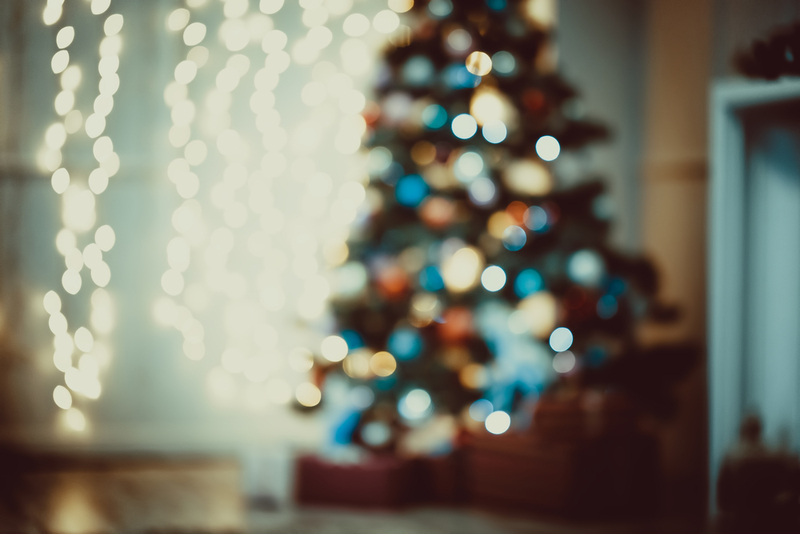 This will bring out the magical bokeh from the lights, making your tree glow with colour! Bokeh transforms the fairy lights in soft glowing orbs, which creates the background for a wholesome memory. 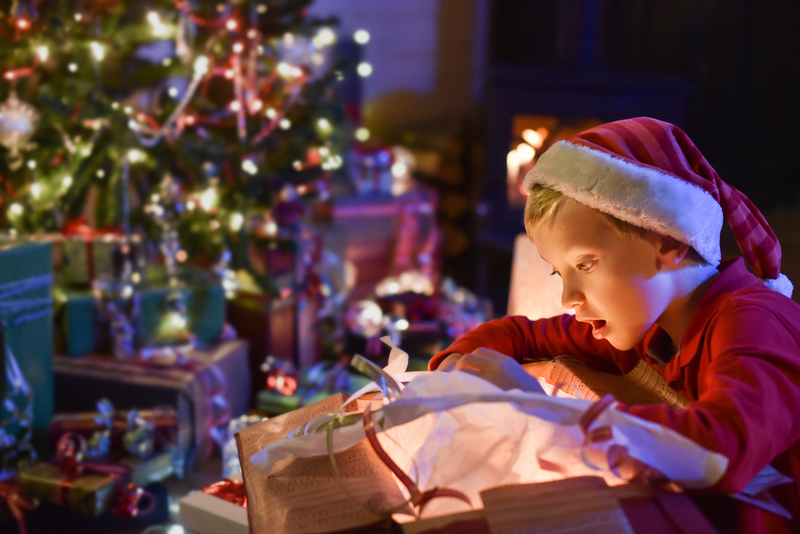 Children are what make Christmas time extra special; from the pitter-patter of footsteps down the stairs bright and early on Christmas morning, to the realisation that Santa has been and left presents around the tree. You can create heart-warming and enchanting memories from this special day. Unless your children can really hold in their excitement, a slow shutter speed won’t work as well for candid portraits of them opening their presents. Their fast movements will just cause lots of motion blur. Its just going to end in a Christmas disaster! 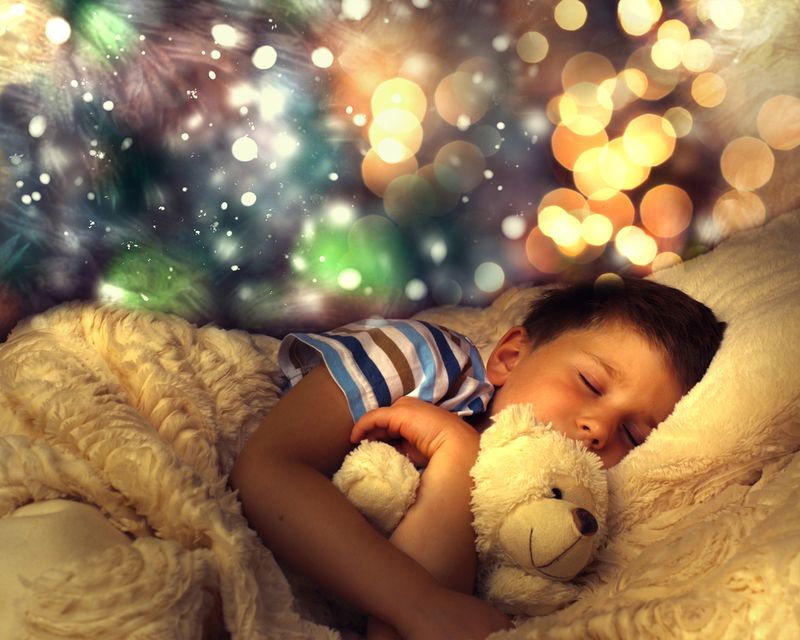 Once the children are awake, a shutter of around 1/60th or faster would remove any worries of motion blur. To best capture the twinkling fairy lights in the background in these circumstances, you will probably need to adjust your camera to a wider aperture, around f5.6 and a higher ISO. If this is all new to you, and seems a little daunting at present, use Christmas Eve as a test shoot. 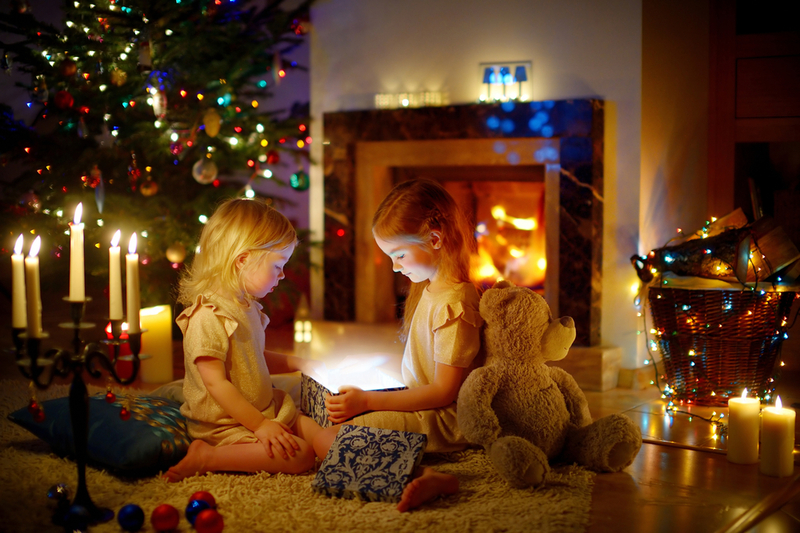 Practice getting your settings ready, to ensure those precious moments on Christmas morning don’t pass you by. Every camera and household will be different, but try to avoid shooting over ISO 1600 due to noise – perhaps put on a lamp or two in the background, or open the curtains to let in the morning winter sun. Try to use as much ambient light as possible, avoid using flash if and when you can. A direct flash will tend to flatten your images and you’ll lose the magical glow of the fairy lights. In conclusion, it’s easy to get lost in the hustle and bustle of Christmas shopping, but whilst you are outside look for other opportunities to photograph those sparkling lights. 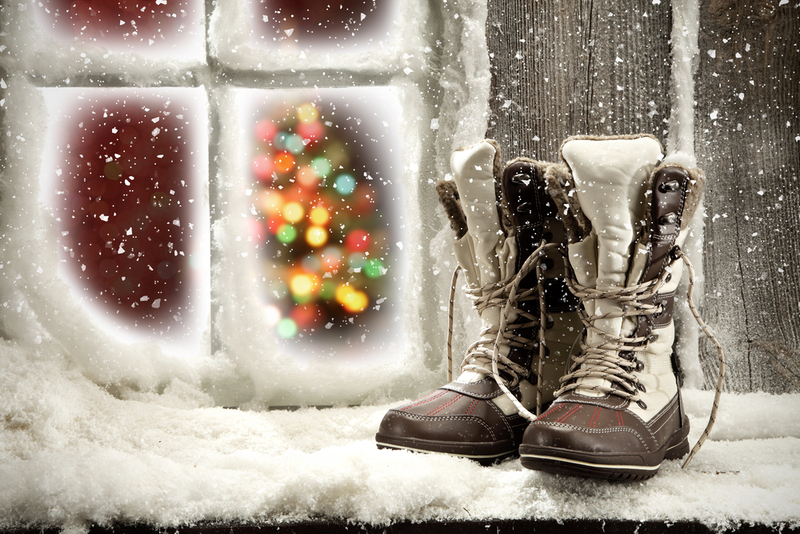 Don’t feel you have to stay indoors to capture your fairy light photographs. Outdoor illuminations tend to be brighter and more abundant making your festive landscape more colourful and striking. 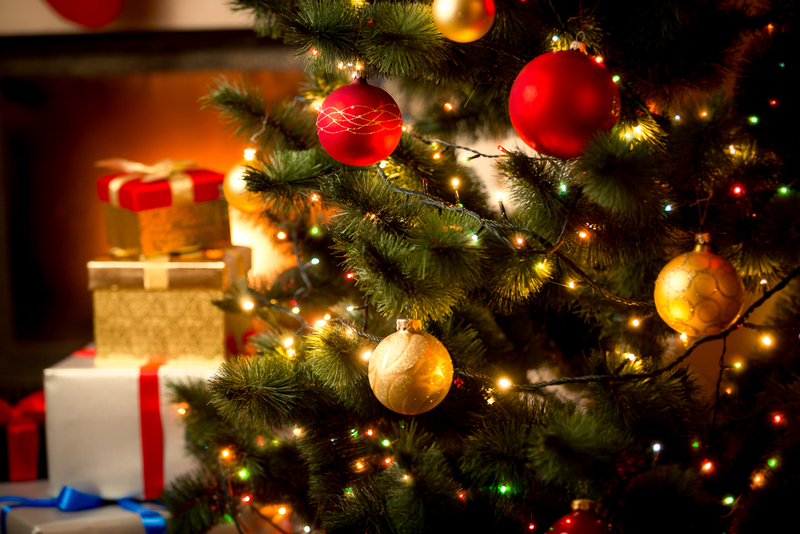 When Christmas Day arrives, think about the memories you want to make and ensure you have your camera ready at all times. 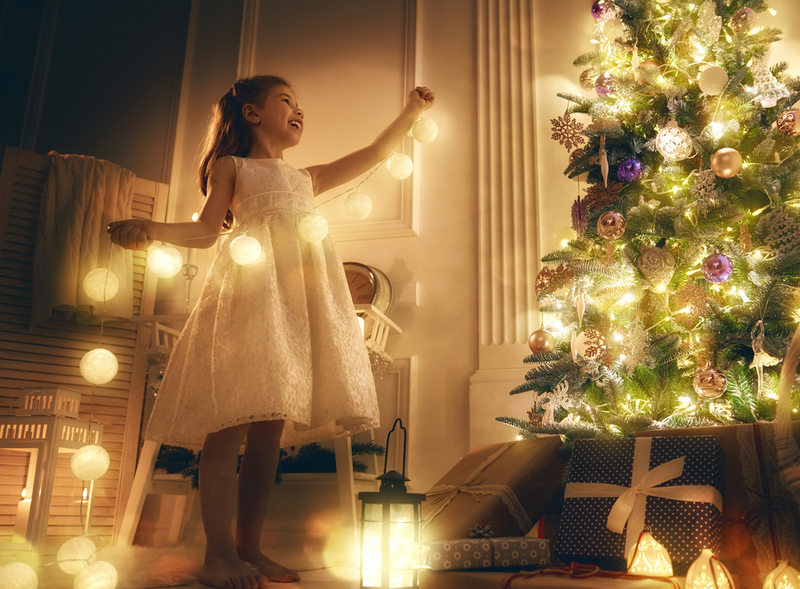 Whether it’s the reactions to opening presents, pulling a cracker or that first glass of fizz there’s no reason why you can’t angle yourself to have those twinkling lights in the background if your quick enough, making every moment festive. Share your festive memories with the tutors and students in the iPhotography Gallery or on our Facebook, Twitter & Instagram sites. We would like to take this opportunity to wish that you have a wonderful Christmas time, from all of us here at iPhotography HQ!